The international stereotype of the Irish defines them as a people from lovely green rolling hills who spend their days drinking, singing, and dancing. It is a stereotype that has been effectively exploited in American movies like Titanic and also helps explain why so many Americans of Irish descent have kept their heritage alive across the generations. The international stereotype of Australians is a little different. Although much of the cultural foundations of Australia were laid by the Irish, it seems only the drinking survived as a stereotype of culture. As for music, sporting chants like Aussie Aussie Aussi oi oi oi suggested that while Australians loved their country, they were not always the most lyrical and melodic in their methods of expressing that love. As for dancing, Australians struggled to keep alive the tradition of the Irish jig. If anything, the Australian propensity for stiff knees left them resembling a Jack-in-the-Box swaying from side to side whenever they tried to dance Irish style. Of course, stereotypes mask a reality which is often quite different to the myth. Not all Irish drink, sing and dance while not all Australians sing nothing but oi oi oi and many can bend the knees when they dance; however, the fact that certain aspects of each country’s people are used to define them internationally does reflect on the type of face they have shown the world. In 1690, Catholic Ireland was conquered by Protestant England. The English subsequently passed laws that Catholics could not own a gun, could not travel more than 5 miles from home and could not teach in Protestant schools. Three-quarters of the Irish land was owned by the English Protestants, who rented it to the Irish farmers. If rent was not paid, bailiffs would take anything moveable, such as livestock or furniture, and then evict the family. To survive, many Irish were forced to a life to crime. Other Irish struggled to realise political change. In March 1798, Ireland was declared to be in a state of insurrection. Under the Insurrection Act, Magistrates and Military Officers were empowered to arrest and punish, by death or otherwise, according to their discretion, people committing treasonable acts or even suspected of treason. An Indemnity Act protected them from suits for illegal acts committed by them in suppressing a rebellion. Consequently, many thousands of Irish were, without any judicial trial or investigation, flogged, tortured, and transported to Australia. In Australia, the Irish retained some of the features of their homeland; however, different environmental conditions soon shaped the Irish Australian identity so that it was completely different to that in the motherland. The green fields of Ireland have often masked a reality that really isn’t so green. For most of its existence, the Irish people have had to endure poverty and famine. Its economic prospects briefly turned upwards after joining the European Union in 1973. This allowed Ireland to gain some of the benefits of being part of a large and strong economic block while still retaining the benefits of being a small nation that was able to quickly adapt to change. It seemed a match made in heaven, and to ensure they remained on the frontier of change, the Irish government encouraged major IT companies to use Ireland as their European base. In addition, the Irish story attracted major players of the financial industry, who seemed to view Ireland as a European version of Hong Kong, only with a more lively culture. Derivative trading, property speculation, and unrestrained lending all contributed to a bubble economy. In the 2008 Global Financial Crisis, the myth came crashing down. By 2012, public debt had rise to more than 100% of GDP as the government ran huge deficits trying to get the economy back on track. Unemployment hit 15% and emigration was again on the minds of the Irish. Just like the Irish economy, the Australian economy has had its ups and downs that has had it resembling something between the parched outback of Broken Hill and the soothing sands of Bondi Beach. For most of the last 200 years, the mainstays of the Australian economy have been farming and mining. It seems that international investors never believed it could become the Hong Kong of Asia and this may have spared it some of the financial speculation that led to bubble economies in other parts of the world. Consequently, while the Australian government panicked and spent during the 2008 GFC, Australia cruised through unscathed with property prices taking no dent at all. Ireland is not a Commonwealth country and does not have the Queen as its head of state. The seeds of Irish independance were sewn in an uprising in 1916 that touched off a guerilla war. In 1921, 26 southern counties of Ireland became independent from the UK. Six northern (Ulster) counties remained part of the UK. In 1949, Ireland withdrew from the British Commonwealth. To an extent, it is still fighting wars against the English. Australia retains the Queen as its head of state. In 1999, Australia had a referendum to become a republic. Polls showed that 90 per cent of Australians were in support of a republic but 80 per cent did not support the proposed model that denied them the right to vote for the president. The referendum ultimately failed because proponents used arguments that divided rather than united Australians. Roughly 55 per cent of Australians voted no and all states voted no. Rural areas were strongholds for the no vote, as were Labor seats in working-class suburbs. Wealthy city electorates mostly voted yes. Ireland suffers a great deal of religious conflict between Catholics and Protestants. Even the Irish who are atheist can get caught up in the Catholic Protestant dispute. At birth, a religious affiliation is applied and they can’t get rid of it even when they want to. The need to deal with the conflict is reflected in the design of Ireland's flag. The Irish tricolour flag bears green for Roman Catholics, orange for Protestants, and white for the desired peace between them. Despite the patriotic symbolism, or perhaps because of it, the religious conflict continues. Australia has very little religious conflict. The only thing that really seems to matter to Australian Christians is whether other people are Christians. In the past, there was some minor conflict between Catholic and Protestants migrants but their conflicts were not passed onto their descendants. In the ranks of convicts, everyone was equal in their inferiority. Both Australia and Ireland have invented their own codes of football. Although both codes were probably influenced by the other, people in both countries have been reluctant to acknowledge the mutual influence. "As Captain, I once protested that such tactics were against the rules, but the only satisfaction I got was the forceful reply, 'to H- with your rules! We're playing the - Irish rules. " In 1884, Ireland wrote rules for their own version of football. The rules they created were very similar to the rules of Australian football. Teams were composed of 21 players, an oval ball was used as were behind posts. The Gaelic goal posts were at first 15 feet apart, but were soon moved to 21 feet - the exact same distance as in Australian rules. In addition, Gaelic football allowed tackling like Australian rules. Over the next two decades, the Irish performed radical surgery on their code that differentiated it from Australian rules. Specificaly, they switched to a round ball, outlawed tackling, reduced player numbers and discarded behind posts. Arguably, Ireland performed the surgery to counter claims they were just playing the Australian game. Aside from their indigenous sports, both Ireland and Australia play the English sports of soccer, rugby union, and cricket. Australia has embraced the English sports much more readily than the Irish. As a result, Australia has had a great deal of international success playing the English sports while Ireland hasn't had much at all. In Australia's colonial era, Australian music carried the fingerprints of the Irish Convict population. Specifically, Australian bush music inherited the story telling elements seen in Irish music. The Wild Colonial Boy was a good example of the Irish influence. The song celebrated an Australian bushranger born in Ireland that was transported to Australia. It told of his birth, his family, his values, his exploits in Australia and his eventual death. As well as becoming popular in Australia, it became popular in Ireland. Into the Irish tradition, Australian musicians weaved Aboriginal walkabout themes, Aboriginal words and used Aboriginal instruments such as the didgeridoo. Waltzing Matilda is a classic example of the Aboriginal influence on Australian bush music. Waltzing Matilda sings about a swagman that sits under the shade of a coolabah tree aside a billabong and then swipes a jumpbuck. In Irish style mythology, the swagman kills himself rather than be taken alive by the troopers. Traces of the past can be seen political nature of modern day Irish and Australian rock music. In Ireland, rock bands like U2 and the Cranberries have been keen to organise protest concerts to end religious conflict or world poverty. Likewise, Australian bands like Midnigtht Oil have also been to protest some cause. Some have protested in favour of Aboriginal rights or the environment. There are a wide variety of dances in Ireland that are popular with most sections of society. Arguably, the most internationally renowned of these dances is Irish Dancing, which involves rapid leg and foot movements while the arms are kept stationary and the body bobs up and down. Not surprisingly, it is a dance that is particularly popular with ladies with well toned legs, and in turn, helps tone them even further. Australia is not really noted for being a great dancing nation. Nevertheless, Australia has created a unique dance genre known as New Vogue. The dances are based on ballroom and latin dances, but they have a sequence of steps that are continually repeated throughout the dance. Each routine lasts for either 16 or 32 bars of music, and is then repeated. This prescription of sequences makes new vogue dances quite easy to learn. In a very short period of time, new dancers can feel confident with new vogue dance and are able to change partners very easily. New Vogue dances originated in the 1930s and 40s. One argument about their development proposes that Australian dancers rebelled against the dreary foot work of the old time English dances and started to choreograph their own sequences. The old time English dances used turned out foot positions, which limited the amount of movement that a good dancer could get. Another possibility is that is that Australian dance teachers wanted a range of dances that would be easier to teach, and less intimidating for men whose feet moved like Frankenstein’s. Prescribing the steps made things easier. "Australia first became what amounted to the Australian Irish Catholic slogan. These Australians of Irish background did not tend to regard Ireland as their "mother country". The penal experience offers one explanation for why the Irish Australians gave up their pride in the motherland. In America's founding era, people of English descent constituted the majority of the population, and were the first class citizens. The Irish were categorised alongside blacks as a second class minority, which naturally fostered a victim culture. On the other hand, two generations into Australia's urban era, nearly 80 per cent of the population was a Convict, Emancipist, or of Convict descent. As a consequence, the majority of the population were second class-citizens, and the exclusive free settlers were the disliked minority. Race or ancestry was insignificant compared to the stigma of Convict ancestry. In a perverse way, being a Convict allowed the Irish to gain a sense of equality with other social groups in Australia. A victim identity can only really prosper when it is in the minority. Defiance of the English offers a second explanation for why the Irish gave up their pride. Because the English were afraid that Australian patriotism could result in American style independence movements, they were quick to suppress expressions of Australian pride. Naturally, this motivated the Irish to express pride in being Australian as it was a form of defiance. A third explanation is that some Irish gained positions of authority and they used those positions of authority against the Irish, which naturally eroded Irish pride. Peter Lalor, one of the leaders of the Eureka rebellion, was a classic example of the Irish betraying their roots when it suited them. Lalor lost an arm in the Eureka battle and was hidden while the other men went on trial. After they were acquitted, Lalor's arrest warrant was withdrawn, he was given money and he stood for the new Victorian parliament. As a hero, he was elected with much euphoria. He then used Chinese to break the picket lines of striking miners, he opposed an elected upper house, opposed universal manhood suffrage and voted for bills that empowered the rich. He subsequently became despised by all those who had fought alongside him. Redmond Barry was another who betrayed his Irish roots. 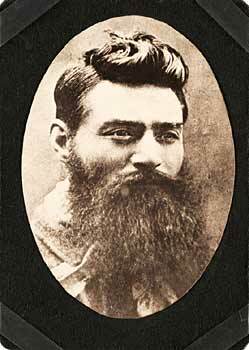 Barry was an Irish judge that made it his mission to hang Ned Kelly, seen by many Irish as an Australian patriot of Irish stock. Irish culture has been influenced by emmigration. Potato famines and conflict with the English resulted in many Irish leaving Ireland. In 1840, the Irish population was estimated to be over 8 million. 60 years later, the population had almost halved (maybe not a great time to be an Irish property speculator). Today, around 80 million people have some Irish ancestry. Around 3 million of these people can legally claim to be Irish. 1.2 million are Irish-born emigrants.
" the Irish nation cherishes its special affinity with people of Irish ancestry living abroad who share its cultural identity and heritage." Australia also has a large diaspora. In 2008, the diaspora was estimated to be around 800,000 people. Motivations to go abroad are primarily adventure and/or work opportunities. Approximately 2/3rds are professionals, para-professionals, managers or in administrative occupations. Almost half are earning in excess of $100,000 a year. Unlike Ireland, Australia has an ambiguous relationship with its diaspora. Some members of the diaspora, such as feminist Germaine Greer, have been scathing of Australia when abroad. Not surprisingly, she has subsequently found that her negativity has been returned with interest. Other Australians, such as presenter Clive James, have been a bit more complimentary and have in turn have elicited a complimentary reaction in Australians at home. "Part of it was my acute embarrassment at the behaviour of my countrymen who could've been in the suburbs or on the beach for all the interest they were showing in the Balinese - boorish bastards they were." Men at Work's " Downunder" was also critical of Australians abroad. Ironically, when Men at Work sang, "I come from a land downunder, where women glow and men plunder" Australians thought the band was complimenting them and so they elevated the song to anthem status. Traditionally, Ireland has had a strong drinking culture. The pastime of going to a pub and drinking one beer or many has long united all of Ireland's cultural divides. Even in the face of a demanding modern economy, the Irish have managed to preserve their drinking traditions. An OECD Health Data survey in 2005 found that Ireland had the second highest per capita alcohol consumption in the world. Guinness is the favoured beverage of an Irishmen wishing to show his patriotism through drink. Unlike most beers which are carbonated, draft Guiness is nitrogenated. The nitrogen bubbles give Guinness a creamy head that allows for little gimmicks like the stamping of shamrocks. Traditionally, Australia was also a great drinking nation. During the early days of the colony, rum was used instead of money. It has been estimated that during this era, the colony drank more alcohol per capita than in any other time in human history. Right up until the 1970s, Australia retained an honoured place amongst the world's great drinking nations. However, in the 1980s, per capita consumption started falling away. Ironically, the fall coincided with the election of Bob Hawke, a prime minister that held an entry in the Guinness Book of Records for beer drinking. By 2003, Australia was ranked 38th in per capita alcohol consumption. The fall in consumption has been offset by a rise in quality of consumption. In the 1970s, the Australian was primarily a drinker of harsh beers advertised as being "doubly hopped for bitter flavours." Australian beers were for tough Australian men and words like "smooth taste" were seen to have no place in beer commercials.Today, premium lagers and boutique beers have increased their market share, as have mid-strength beers. Words such as "smooth taste" no longer have the negative associations that they once had. Furthermore, beers have been branded with names like Little Creatures, which suggest the manner of expressing the masculine identity through beer has also changed. Unlike Ireland, Australia has no national beer. Each state has its own brewers and flagship brands. Arguably, Tasmania produces Australia's finest beer as it has the world's purest water. Coopers has somewhat of a cult following around Australia. Brewed in the bottle, it attracts drinkers who identify themselves as refined connoisseurs. As well as developing a taste for premium beers, Australia has developed a taste for wine. In the 1970s, few Australians drank wine. A strong domestic market developed in the 80s, which laid the groundwork for international expansion. From 1990 to 2001 Australia's annual exports increased from 38 million litres worth $121 million to around 354 million litres worth $1.7 billion. This was a 10 fold increase in volume and a 14 fold increase in value. In 1975 Australia was a net importer of wine. Today it is the world's largest wine exporter behind France, Italy and Spain. Australia is most famous for its Shiraz, which is one of the harsher red grape varieties, but a variety that mellows with age. Recently, Tasmania has started producing elegant Pinot Noir and Western Australia has started producing quality Merlots and Cabernet Sauvignons. The NSW Hunter Valley produces exceptional Semillon and South Australia's Adelaide Hills produces exception Riesling. What type of soldiers would Irish Convicts make? At first glance, the Castle Hill rebellion of would suggest not very good ones. In March 1804, around 300 mostly Irish Convicts led a full scale insurrection aimed at getting a ship to take them home to Ireland. Although the catch cry of the Convicts had been "liberty or death" the majority got neither. After the soldiers fired upon the ring leaders, many of the Convicts ran off into the bush. Those who stayed layed down their arms. The principle ring leader was hanged almost immediately, eight others shortly followed, four received 500 lashes, thirty were sent to goal gangs and another thirty were sent to Newcastle. The Convicts who ran away surrendered in twos and threes over the next few days. No crown soldiers died in the insurrection. Many of the Convicts of the Castle Hill rebellion had been involved in the Vinegar Hill rebellion in Ireland in 1898. Vinegar Hill later became the password for the Eureka rebellion on the Victorian Goldfields. The rebellion clearly showed that Convict solidarity or Irish pride could be a threat. Think of some methods that the authorities could have used to weaken Convict solidarity and Irish pride. The use of Vinegar Hill as a password at the Eureka Stockade suggested that the Irish were trying to broaden their networks to include other dissidents or other dissidents identified with the Irish story. Which do you think is most likely? Do you think the above passage provides any ideas about why Irish culture has no survived as purely in Australia as it has in America? Many pubs in Australia label themselves as Irish. Visit an Irish pub in Australia and identify features, such as beer sold, social activities, décor etc, which could be defined as Irish and features which may be better defined as Australian. Why do you think publicans may have more commercial appeal by defining their pub as Irish than as Australian? Australian football was codified in 1859, almost 20 years before Gaelic (Irish) football was codified. Despite pre-dating Gaelic football, for almost a century a popular myth prevailed that Australian football evolved from Irish migrants bring Gaelic football. Why the myth of Irish origins might have increased its appeal amongst Australian audiences? There is some evidence that Irish football may have been influenced by Australian football. Specially, teams were initially composed of 21 players, an oval ball was used as were behind posts. Today, both games require players bounce the ball and use the hand pass. Why might evidence of Australian origins decreased Gaelic's football's appeal amongst Irish fans? Compare the rules of Australian football and Irish football over time and make an argument about whether any influence was occurring on the other.